Equine Training and improving your horse’s overall fitness, means having to constantly ask yourself; How fit does my horse have to be? 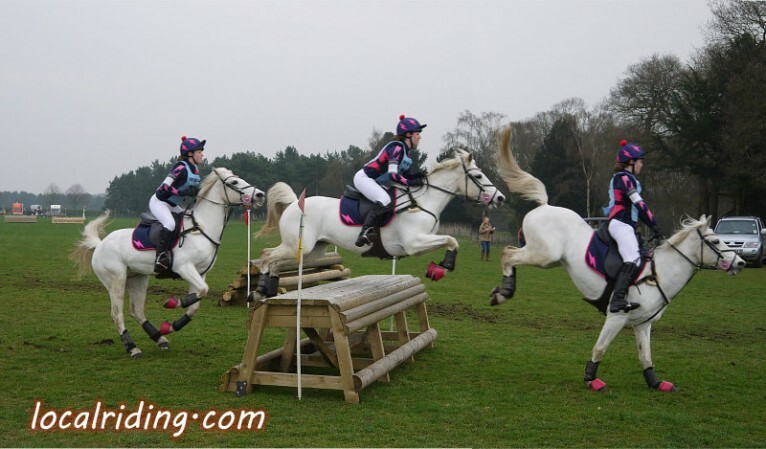 Whether you intend to simply hack out, compete at riding club shows or to progress up to advanced equine eventing, it’s important that your horses’ fitness is increased in a natural gradual and consistent way. The duration and type of your equine fitness program depends largely on your final objective. For example, a horse that is destined for advanced three day eventing, will need a very different fitness program to a riding club horse looking to compete at local shows. However, almost all horse fitness programs begin in the same way, and that’s with walking or hacking out. Depending on the period of rest that your horse has had or what condition the horse is in when you are returning it to work, will play a large part in how long the walking phase will last. Walking builds up overall fitness and strengthens the horse and it is important not to do too much too soon or a whole host of problems and conditions will emerge; a factor that will really delay the whole process. The walking phase will take between two and three weeks. If time will not allow, then extend this period as needed. Begin by going out for 15 minute rides increasing to one hour. Gradually include roadwork, but If this is introduced too early, concussion injuries may become an issue. It’s also important to vary where you go and what you do to prevent boredom in both horse and rider. 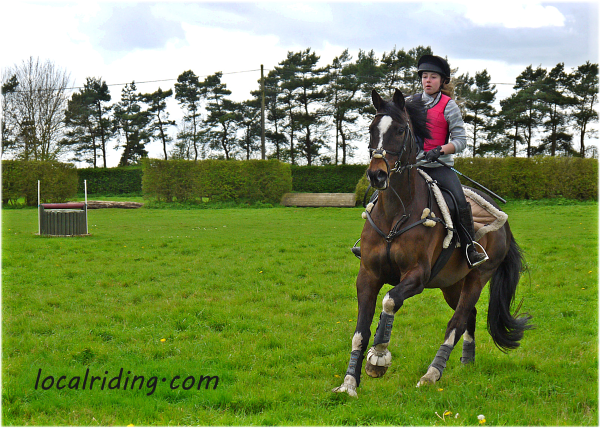 A short hack, basic walk schooling session and long reining are all very acceptable. trot work should be introduced by the following week. However, it is important to remember that knowing your horse is essential. If you feel that he isn’t ready to progress to the next stage, there is no harm in keeping him at a less demanding level or finding a middle ground. So, for example, if your horse seems to be struggling with trotting, then just alter your walk to a really active walk for short periods. 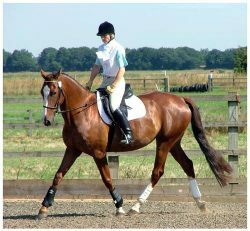 Making horses walk-on in an active manner will still increase horse fitness and it is definitely advisable to try to maintain this motion for as long as possible. At the trot stage, riding time can increase, schooling can be extended and time spent trotting and cantering can rise. 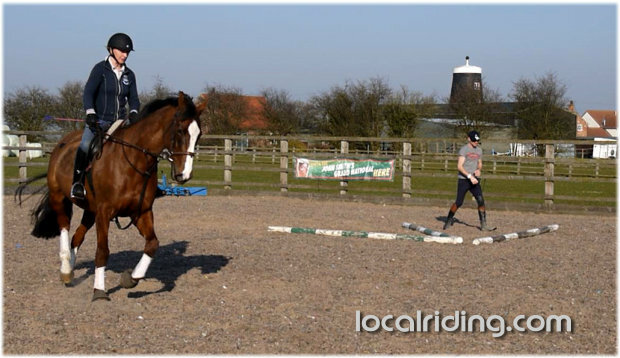 Small jumps may also be introduced followed by a bit of lunging. Canter time should be increasing and cantering uphill can be introduced. By this point, your horse is really in full work, and should be able to perform all the duties that a riding club horse needs to. The most important thing to remember is to use your common sense. There is a place for horse fitness programmes, but they may not fit in with your lifestyle commitments or your horse’s condition. The horse may be fitter than you first thought or possibly less fit than first anticipated. A good horse owner will stay flexible while trying to build the horse’s fitness. This flexible approach will help guard against injuries and other problems. Training a Horse – Feeding Your Horse for Fitness. Feeding throughout the horse fitness program should be monitored closely, and you should always increase the work before you increase the feed. Never do it the other way round or you will end up with a very lively horse and lots of problems. NOTE: Your horses fibre intake should never drop below 40% bulk or your horses digestive system will not function correctly. When considering horse fitness and feed, your horses coat & skin condition should always be monitored. Girth galls and saddle sores are quite common once horses return to work after a rest period but these can be prevented. Ensuring that your tack fits properly will play a large part in maintaining good horse health; as will using salt water or surgical spirit on any areas that come into contact with horse tack will help toughen the skin. There are other factors to be considered when factoring in what to do with your horse before he starts work. Use any free time to have a good spring clean of your yard, stable, tack and rugs. You’ll then start your horse fitness program on the right note. The trick now is to try to keep your horse at this fitness level, and this is most definitely a balancing act. If your horse’s work is increased and increased they will become fitter and fitter, which could be totally unnecessary depending on what you eventually want to do with your horse. Conversely, if work is reduced too much, horse fitness will fall away and your horse will struggle to do what you ask of it. There are many factors that influence horse fitness but common sense is, as always, vital throughout. Always keep in mind the old fable of the tortoise and the hare; because slow and steady really will win the horse fitness race. Doubleblind crossover study zithromax 500 mg spc of phosphatidylserine vs..